As if midweek humpdays and payday Fridays aren’t enough to lure you into uttering one of the biggest lies ever told by man (“One bot lang, promise.”), October gives you one whole month of an excuse to round up the gang and chug down that oh so tasty beer. 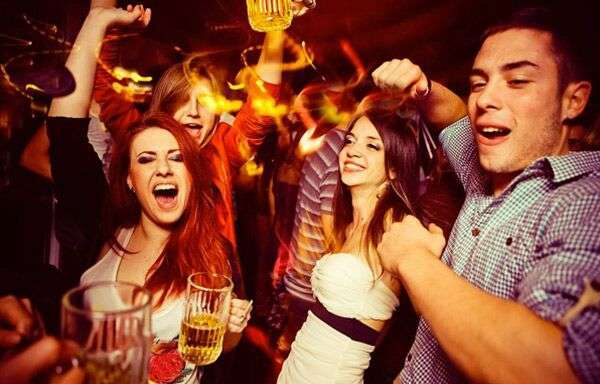 This year’s Octoberfest is going to be quite the party, so we’ve rounded up some of the possible events to go to for your rowdy nights with the buds. All you have to do now is show up. There’s no time to waste! 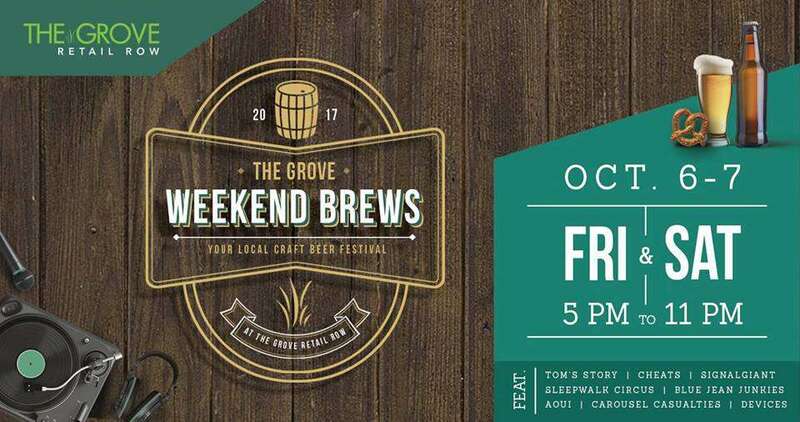 Grove Weekend Brews opened its Octoberfest revelries as early as 5PM last Friday and goes well into the weekend on October 7 (Saturday). Taking front and center here are local brews you can most definitely be proud of. Whether you’re a local craft enthusiast or just a curious beer explorer, this is as good a place as any for you to enjoy. You’ll also get to listen to good music as indie favorites Tom’s Story, Cheats, SignalGiant, Sleepwalk Circus, Blue Jean Junkies, Aoui, Carousel Casualties, and Devices perform! The event did originate from them so what better way to kick off the celebrations than going to the German Club Manila’s Oktoberfest? 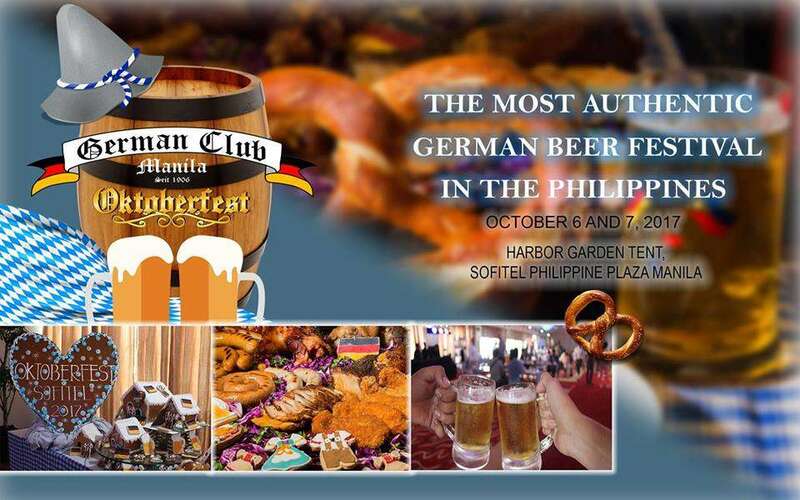 Happening on October 6 and 7, it’s bound to be a real treat with free-flowing beer paired with authentic Bavarian food, such as assorted sausages, schnitzels, cold cuts, and desserts like the original gingerbread and other pastries. The Bavarian Sound Express Band will also be there so you can move to the groove. 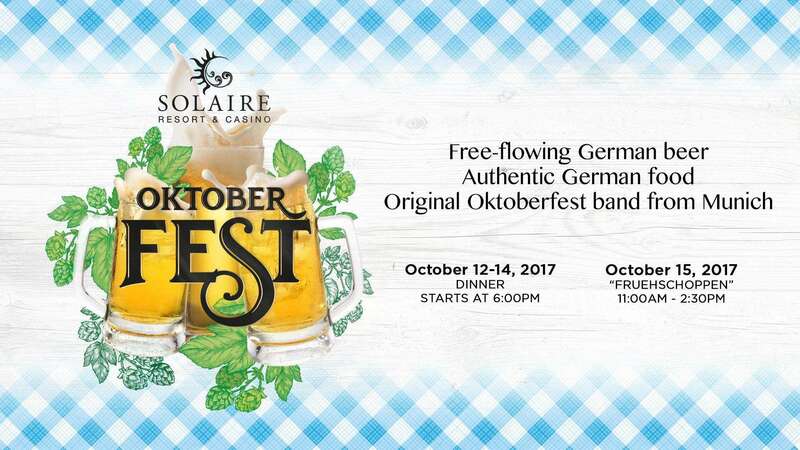 It’s Solaire’s first every authentic Oktoberfest, so it’s definitely going to be one for the books! They’re even flying in German live band Tomays Spezlwirtschaft to perform traditional German music. Feast the German way with various meat platters coupled with free-flowing Weihenstephan beer—which only happens to come from the oldest brewery in the world. For P2,999+ per pax, you and your date can already experience an authentic Oktoberfest without needing a Schengen visa. Premier local beer brewer, San Miguel, has certainly established itself as a legitimate Oktoberfest endorser every year. 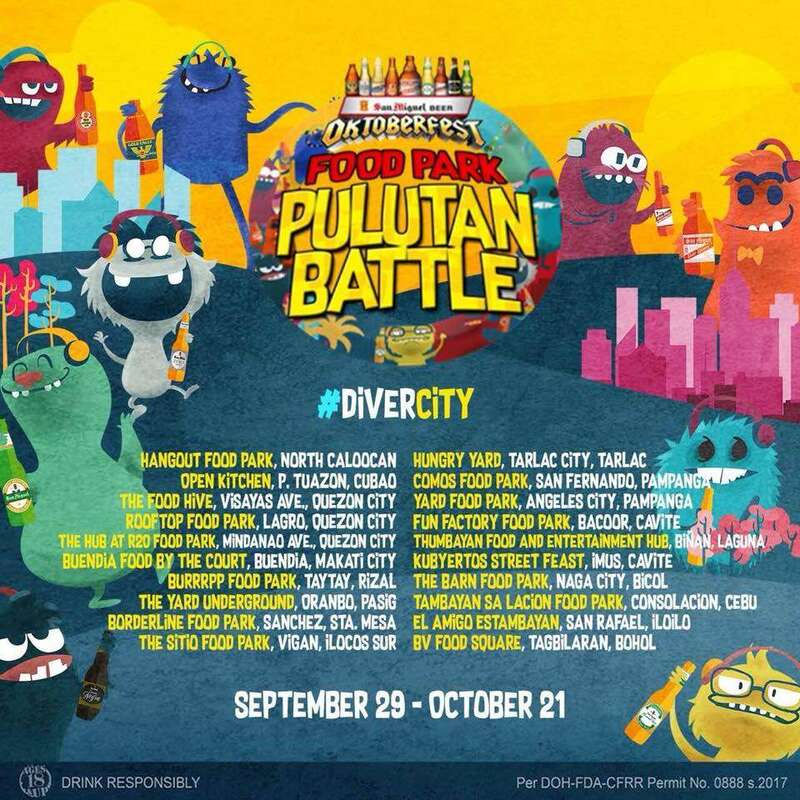 This year’s San Miguel Oktoberfest theme is dubbed #DiverCity—a play of the words "diverse" and "city". San Miguel Beer recognizes the different ways Filipinos celebrate Oktoberfest, thus, they bring you more party types to choose from in different cities around the country. There are so many things that pair well with ice-cold beer, but sitting near the top of the list is none other than the saucy, cheesy goodness that is the classic pizza. 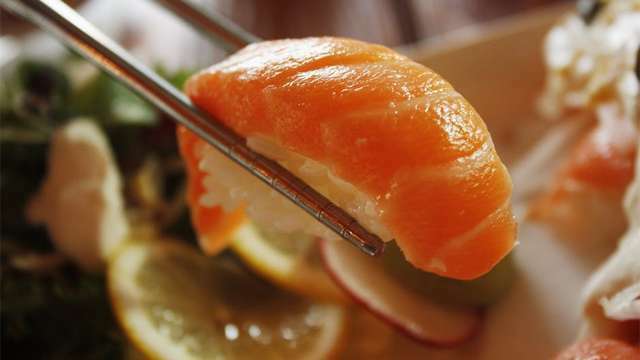 Head over to the Venice Grand Canal at McKinley to get this treat. From October 1 to 15, you can enjoy all that as you listen to top OPM acts: UDD and Maude on the 7th, and Itchyworms, Barbie Almalbis, and Aia De Leon on the 14th.